How does the liver work with the blood? How does the liver process nutrients and toxins? What makes the liver special? Does liver regeneration have limits? Where is the liver? What does the liver look like? The liver is located in the upper right portion of the abdomen, below the lungs and heart and above the stomach and intestines. It is protected by the ribcage. The liver is the largest internal organ of the body and the most complex, constantly performing more than 500 vital functions. The liver is pinkish to reddish brown in color and is shaped like a wedge or a football that is flat on one side. In adults, the liver weighs approximately 3-5 pounds. A healthy liver is soft, and is spongy or rubbery in texture. The liver has two large sections, the left lobe and the right lobe, which are separated by the falciform ligament. The right lobe is about 5-6 times larger than the left, accounting for approximately 50-60% of the liver's total mass. The right lobe has two smaller lobes attached to it, the quadrate and caudate lobes. The quadrate lobe wraps around the gallbladder, and the caudate lobe wraps around the vena cava (large veins that connect to the heart). The liver serves as the body's engine, pantry, refinery, food processor, garbage disposal, and ''guardian angel." Unfortunately, the liver is also a silent sufferer, and typically does not display any signs or symptoms of problems or disease until those conditions are in advanced stages. For more information on what the liver does, please visit our Liver Functions page. The liver is the body's chemical power plant, converting nutrients from food into muscle, energy, and hormones as well as clotting and immune factors. Before birth, most of the body's blood is created by the liver. After birth, the prime functions of the liver are to refine and detoxify food, air, and anything absorbed through the skin. An impressive chemical factory, the liver receives 80% of its blood from the gut and 20% from the heart. Blood from the gut is full of nutrients, which are absorbed by the intestines after the digestion of food. The liver uses these nutrients to maintain bodily functions and to structure muscle and bones. 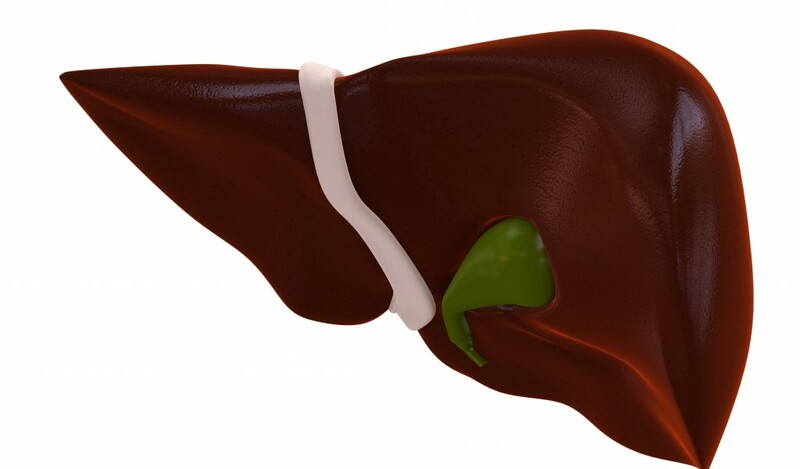 The liver also stores proteins, fats, carbohydrates, vitamins, and minerals. At any given time, the liver holds roughly 10% of the body's blood, pumping about 3 pints per minute. The liver stores certain vitamins, minerals, and sugars. It regulates fat and helps control the production and excretion of cholesterol. Bile created by liver cells helps digest food and absorb important nutrients. Bile also neutralizes and destroys poisonous substances, removes bacteria from the bloodstream, and metabolizes alcohol , toxins, carbohydrates, lipids, and proteins. The liver keeps the body's environment stable. In addition, the liver cleanses the blood of many toxins, hormones, medications, and infectious agents. It plays a significant role in maintaining the immune system and in protecting blood from contamination by digestive tract infections. One of the most remarkable capacities of the liver is its ability to regenerate. Three quarters of the liver can be removed and will grow back within a matter of weeks. In transplants using liver tissue from a living donor, the portion of the liver remaining in the donor will grow back to its normal size. The transplanted portion will grow to an appropriate size for the transplant recipient's body. The liver is constantly exposed to toxins such as alcohol and air pollution. If one area of the liver is damaged, another will take on the damaged area's task until healing has occurred. Although new cells regenerate to replace dead cells, the regeneration process is sometimes accompanied by the formation of scar tissue. Scar tissue can lead to serious liver complications when it prevents the liver from performing essential functions. A liver that is subjected to continuous injury will suffer from an accumulation of fibrous scar tissue, the formation of which is called fibrosis. Cirrhosis is the excessive accumulation of scar tissue in the liver. It is important that the liver be protected. The over-consumption of alcohol, certain medications (such as acetaminophen), or street drugs, as well as an unhealthy diet, genetic factors, and environmental pollutants can permanently damage or scar the liver. No two livers are alike. Gender, ethnicity, genes, and environmental and lifestyle choices play a role in liver health. It is never safe to presume that one's liver will react in the same way as that of a family member or friend. For example, some individuals can drink heavily for a lifetime without any apparent liver damage, while others who drink moderately for a short period of time can sustain significant and permanent liver damage. Unfortunately, there are no fixed rules concerning how much the liver can handle. Hepar is the Greek word for liver. This is why the prefixes hep- and hepat- and the word hepatic, are used in medical terminology. Hepatitis means "liver inflammation" in Greek, from liver (hepat-) and inflammation (-itis.) The word hepar is derived from the Greek word hepaomai which means "to repair oneself". It is unclear if the Greeks knew of the regeneration capabilities of the liver, but the myth of Prometheus suggests that they had reached some level of awareness.